HOULTON, Maine — A Madawaska woman who sued the Aroostook County Jail in federal court has won the right to addiction treatment medication while incarcerated. Over the course of a weeklong trial, Torresen heard testimony from Smith as well as medical and corrections experts. In her ruling, Torresen found that denial of medication-assisted treatment would cause serious and irreparable harm to Smith, and would violate the Americans With Disabilities Act. The act prohibits discrimination on the basis of disability, including against people in recovery for opioid use disorder. Lawyers for Smith argued that continuing the medication while in jail is essential to treating Smith’s medical condition, preventing painful withdrawal symptoms, and an increased chance of relapse, overdose and death. In late 2017, however, Smith was convicted of theft and sentenced to 40 days in jail. Her attorney contacted the jail about what procedures needed to be followed to enable her to continue her medication-assisted treatment, but was told Smith would undergo withdrawal and “her symptoms would be treated in accordance with the jail’s withdrawal protocol,” according to court documents. Attorneys for the jail have pushed back at the idea that a ban on medically assisted treatment is a violation of a prisoner’s rights. Marchesi also previously argued that medical staff at the jail have the ability to manage prisoners’ withdrawal symptoms. On one occasion they provided medication-assisted treatment to a pregnant woman inside the jail, she said, and did so without any known problems. Marchesi, the jail attorney, said the decision “ignores, or discounts, critical evidence. Among other things, the decision concludes that the jail has already decided that Ms. Smith will not receive her medication while in the facility, and that the testimony from the jail administrator that she would not be denied the medication was a change of position based upon another case from another state. “The decision conflicts with principles of federalism and the separation of powers, by impermissibly substituting the court’s judgment for that of jail security experts,” Marchesi said. He said that Houlton jail administrators have been and continue to work on a medication-assisted-treatment program, and that they “believe that the decision unfairly casts its efforts and programs in an unfair and entirely inaccurate light. 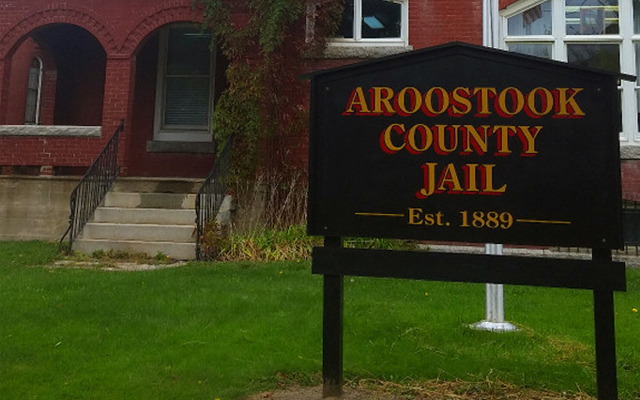 “The Aroostook County Jail intends to pursue all available legal avenues to seek relief from the decision,” he said. In a separate but similar case in July, the ACLU sued the Maine Department of Corrections commissioner and Aroostook County sheriff on behalf of Zachary Smith of Caribou, who wanted to continue taking Suboxone while incarcerated for assault. Brenda and Zachary Smith are not related. The ACLU settled that case in September 2018 when the state Department of Corrections agreed to administer the medication-assisted treatment. At the time, Zachary Heiden, legal director with the ACLU of Maine, said the Department of Corrections would pay for the medication, which Smith had said cost his family $144 a month. Brenda Smith is represented by lawyers Andrew Schmidt and Peter Mancuso from Andrew Schmidt Law PLLC, Bond and Zachary Heiden from the ACLU of Maine, and Monteleone and David Soley from Bernstein Shur.